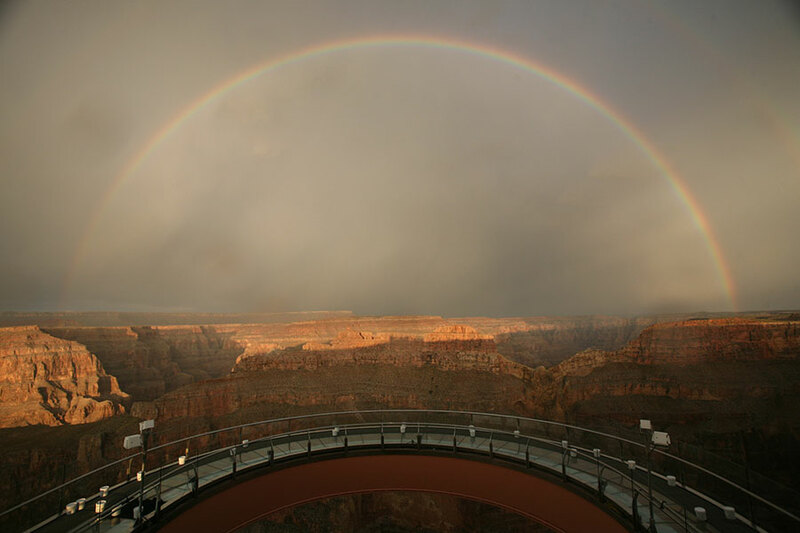 Grayline Tours: Grand Canyon West Rim with Skywalk is roundtrip service to see the West Rim of the Grand Canyon. 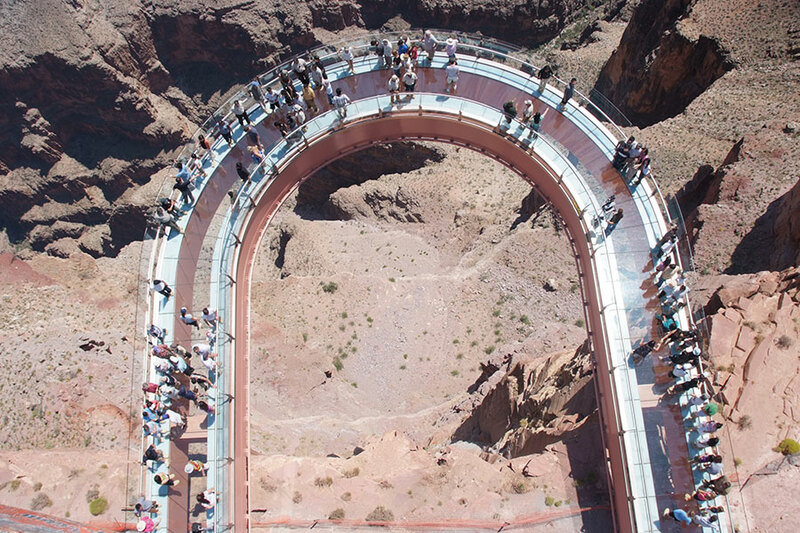 Experience the West Rim of Grand Canyon National Park and it’s coolest attraction, the Grand Canyon Skywalk. 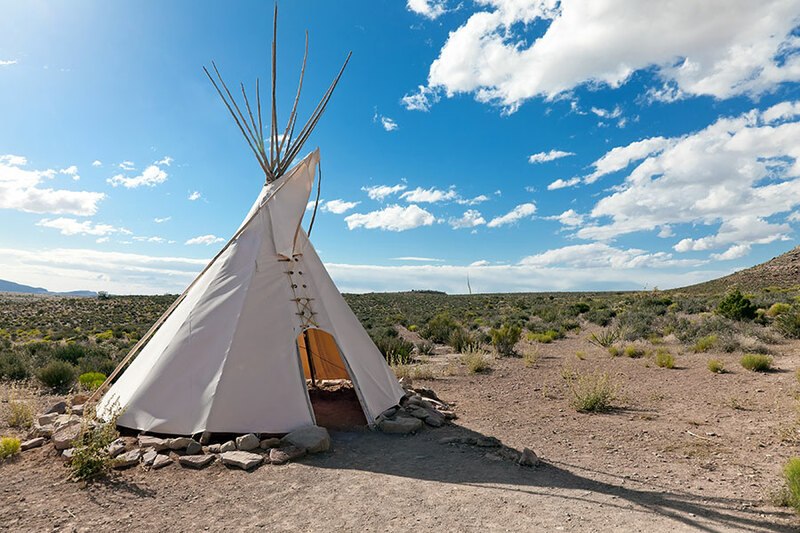 Let Gray Line Tours, the leader in Grand Canyon Day Trips from Las Vegas, take you on a journey through the wild west. Begin your day with hotel pickup (available from most Vegas hotels) to the Gray Line terminal. It’s here where you’ll meet your friendly tour guide & driver. 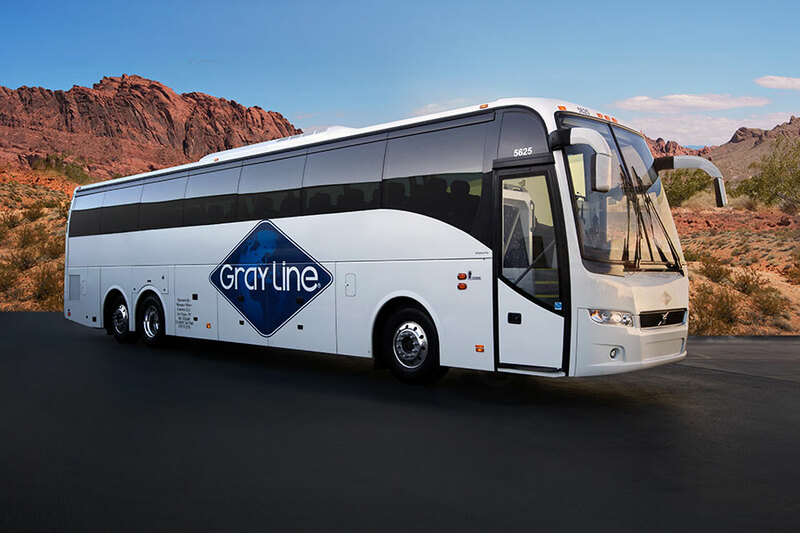 From there, you’ll board one of Gray Line’s super comfy motor coaches, equipped with everything from a restroom to TV’s, and then sit back and enjoy the ride. The four-hour journey begins with a quick photo stop at the Hoover Dam Bypass Bridge and then onward through the majestic Joshua tree forest. 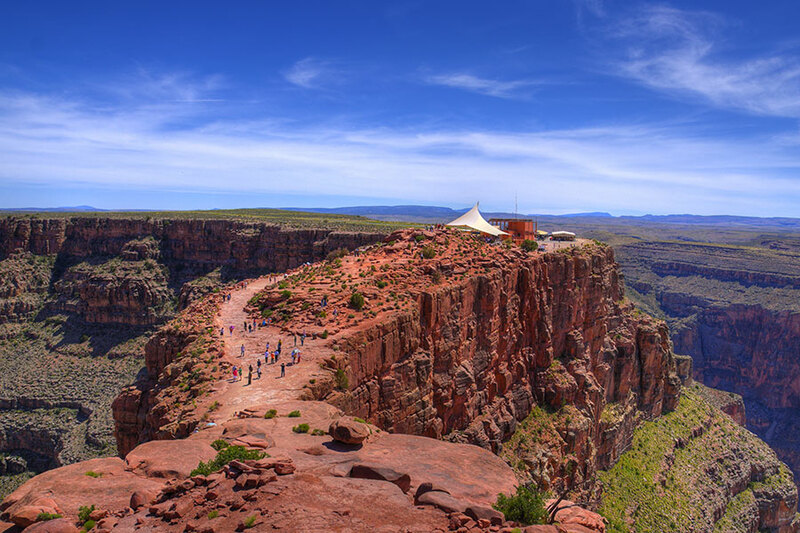 Once you arrive at the Grand Canyon, there are plenty of options for lunch including a delicious BBQ Buffet or the newly opened Skywalk Café. 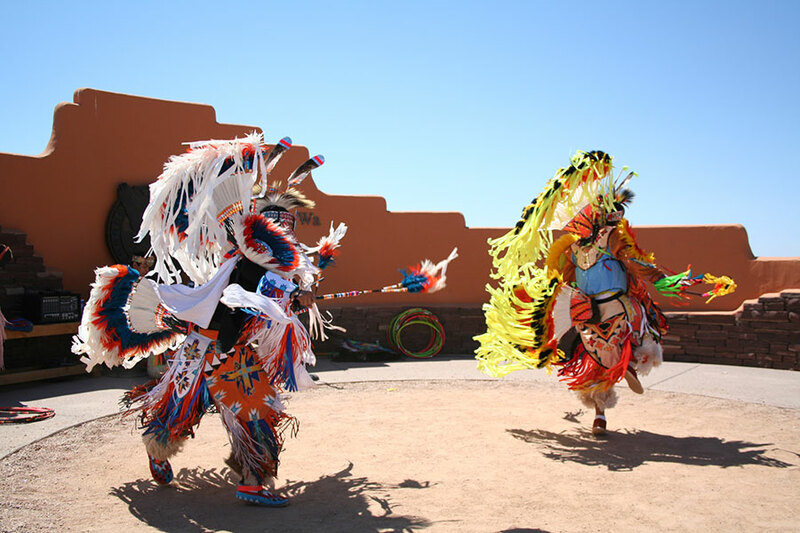 You’ll visit the beautiful Hualapai Indian Country where you might experience some traditional native dancing. A stop the ranch later on will include a Wild West show and some gun slinging fun (all subject to availability). 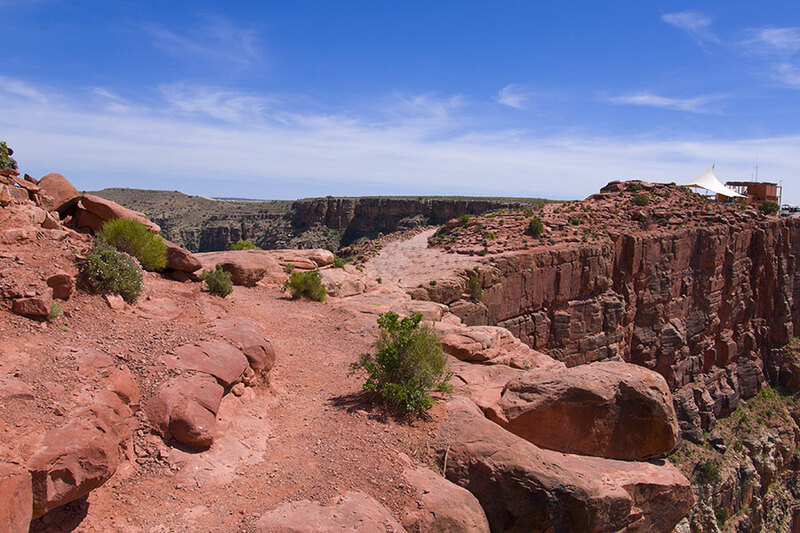 During the four hours at the Grand Canyon, the tour includes a couple of stops at major lookout points including the panoramic sight of Eagle Point. 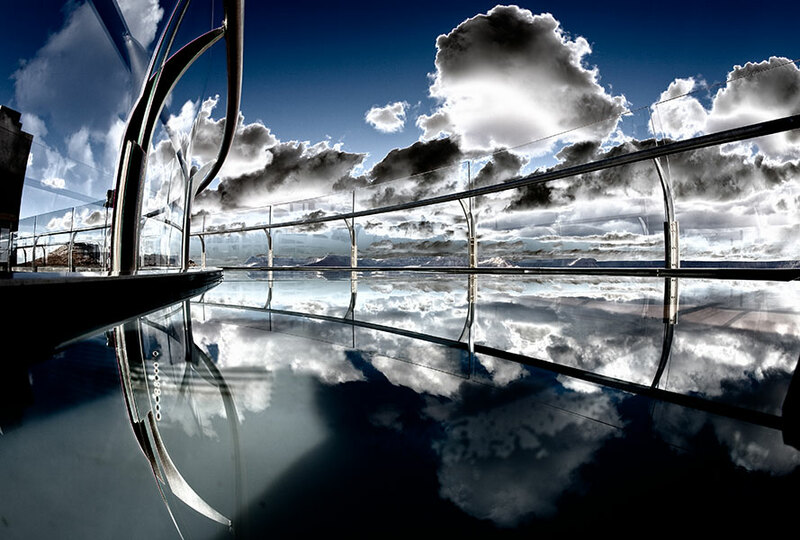 It’s here that you’ll experience the memorizing Skywalk. 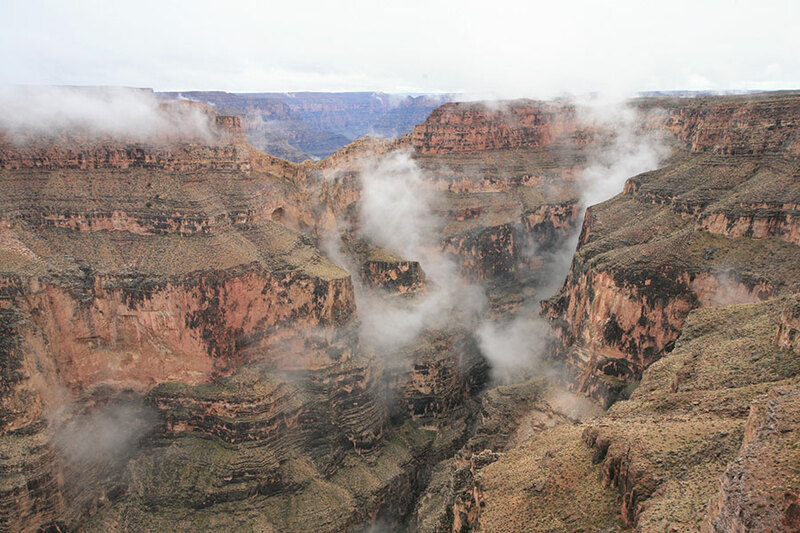 Considered to be one of the “Seven Wonders of the World,” the Grand Canyon’s geological majesty just might take your breath away. There’s really no better way to spend a day than this.